Abstract: The purpose of this paper is to examine intra-industry contagion and the following apparent violations of the efficient market hypothesis around large one-day price decline events in individual stocks. 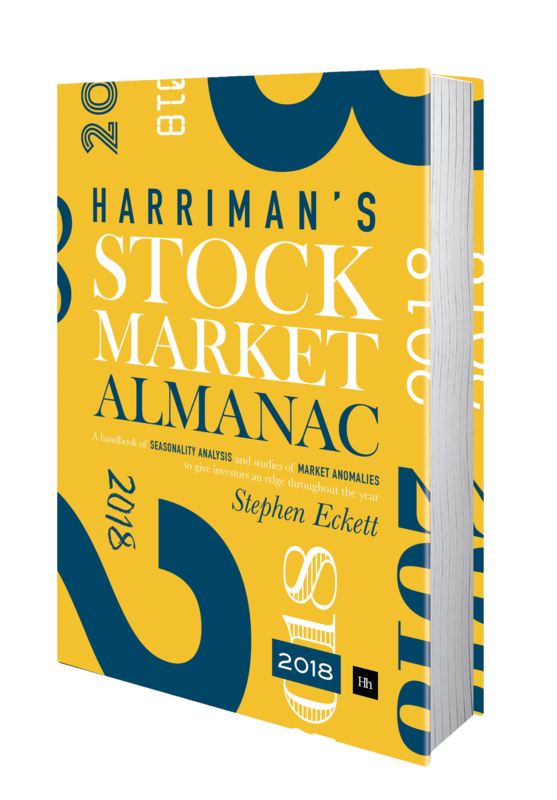 On average, after an event, the event stock experiences a positive three-day AR (S&P 600 stocks) followed by a 17-day negative AR (both S&P 500 and 600 stocks). Moreover, for that 17-day period: the rivals’ stocks outperform the event firms’ stocks and the event firms’ returns are statistically significantly related to prior variables. The paper also finds statistically significant relationships between the prior variables and the rivals’ post-event stock returns. It provides an intra-industry effects explanation for these results. Abstract: We examine the short-term price reaction of 424 UK stocks to large one-day price changes. Using the GJR-GARCH(1,1), we find no statistical difference amongst the cumulative abnormal returns (CARs) of the Single Index, the Fama–French and the Carhart–Fama–French models. Shocks ⩾5% are followed by a significant one-day CAR of 1% for all the models. Whilst shocs >5% are followed by a significant one-day CAR of −0.43% for the Single Index, the CARs are around −0.34% for the other two models. Positive shocks of all sizes and negative shocks <5% are followed by return continuations, whilst the market is efficient following larger negative shocks. The price reaction to shocks is unaffected when we estimate the CARs using the conditional covariances of the pricing variables. Abstract: The role of option markets is reexamined in the reversal process of stock prices following stock price declines of 10% or more. A matched pair of optionable and nonoptionable firms is randomly selected when their price declines by 10% or more on the same date. The authors examine the 1,443 and 1,018 matched pairs of New York Stock Exchange/American Stock Exchange (AMEX) and National Association of Securities Dealers Automated Quotations firms over the period from 1996 to 2004. It was found that the positive rebounds for nonoptionable firms are caused by an abnormal increase in bid–ask spread on and before the large price decline date. On the other hand, the bid–ask spreads for optionable firms decrease on and before the large price decline date. An abnormal increase in the open interest and volume in the option market on and before the large price decline date was also found. Overall, the results suggest that the stock-price reversal neither is a result of overreaction nor can it be simply explained by the bid–ask bounce. Abstract: In our empirical study we examine the dynamics of the price evolution of liquid stocks after experiencing a large intra-day price change, using data from the NYSE and the NASDAQ. We find a significant reversal for both intra-day price decreases and increases. Volatility, volume and, in the case of the NYSE, the bid–ask spread, which increase sharply at the event, stay significantly high days afterwards. The decay of the volatility follows a power law in accordance with the `Omori law’. While on the NYSE the large widening of the bid–ask spread eliminates most of the profits that can be achieved by an outside investor, on the NASDAQ the bid–ask spread stays almost constant, yielding significant short-term profits. The results thus give an insight into the size and speed of the realization of an excess return for providing liquidity in a turbulent market. Abstract: We empirically investigate the market overreaction effect of the stocks with the largest daily percentage increases or decreases in price reported in The Wall Street Journal between January 1996 and December 1997. We select 852 stocks for the NYSE and Nasdaq samples of gainers and losers. We find strong evidence of stock price overreaction effects for both the Nasdaq gainers and losers samples but no such evidence for either the NYSE samples. The reversal of stock returns occurs within a two-day post-event period. Regression analysis shows that the stock price reversal is inversely related to the price gains or losses controlling for the size of Nasdaq firms. Abstract: We identify samples of losers and winners by selecting daily stock price returns in excess of 10% (sign ignored) and determine whether these samples over- or underreact. We then identify “informed” events, which correspond to announcements in the Wall Street Journal(WSJ), and “uninformed” events, which are not explained in the WSJ. For winners, there is overreaction in response to uninformed events but no overreaction on average in response to informed events. This finding suggests the degree of overreaction to new information depends on whether the cause of the extreme stock price change is publicly released. Abstract: I hypothesize that post-event price behavior following large one-day price shocks is related to pre-event price and firm fundamental characteristics, and that these characteristics proxy for investor confidence. Several behavioral theories suggest how investors form their expectations, and I suggest four investor confidence hypotheses based on these theories. In addition to documenting further evidence of investor overreaction, my findings indicate that investors respond differently to negative price shocks than to positive price shocks. In particular, large price decreases generally drive positive post-event abnormal returns, while large price increases do not drive positive or negative abnormal returns. However, my main finding is that this relationship is altered when pre-event return and firm characteristics are introduced. This suggests that certain pre-event characteristics influence investor confidence, which in turn influences buying and selling decisions and thereby drives post-event returns. However, investor confidence appears to be lessened by a price shock effect. Abstract: This paper examines whether trading strategies based on short-term price reversals following large one-day losses have economically significant returns. We directly incorporate transactions costs by basing returns on the contemporaneous bid and ask quotes and jointly examine the effects of overreaction, liquidity pressure, and public information flow measures. Consistent with the overreaction hypothesis, trading strategy returns increase in the magnitude of event day loss. Consistent with behavioral models, the reversals are higher for event stocks without concurrent news releases. The evidence is generally supportive of the liquidity pressure hypothesis. The analysis suggests refined trading strategies yielding economically significant positive returns. The results are robust to a number of alternative tests. Abstract: We examine return behavior following large price change events. Unconditional post-event abnormal returns are found to be unimportant. As we condition on other criteria related to the quality of information like volume and public announcements, the abnormal returns become large. The type of news provides further refinement. If the news relates to earnings or analyst recommendations then the 20-day abnormal returns become much larger ranging from 3% to 4% for positive events and about −2.25% for negative events. Finally, an out-of-sample trading strategy confirms investor under-reaction and generates significant abnormal annualized returns of the order of 12–18%. Abstract: We model a market populated by two groups of boundedly rational agents: “newswatchers” and “momentum traders.” Each newswatcher observes some private information, but fails to extract other newswatchers’ information from prices. If information diffuses gradually across the population, prices underreact in the short run. The underreaction means that the momentum traders can profit by trend-chasing. However, if they can only implement simple (i.e., univariate) strategies, their attempts at arbitrage must inevitably lead to overreaction at long horizons. In addition to providing a unified account of under- and overreactions, the model generates several other distinctive implications. Abstract: We propose a theory of securities market under- and overreactions based on two well-known psychological biases: investor overconfidence about the precision of private information; and biased self-attribution, which causes asymmetric shifts in investors’ confidence as a function of their investment outcomes. We show that overconfidence implies negative long-lag autocorrelations, excess volatility, and, when managerial actions are correlated with stock mispricing, public-event-based return predictability. Biased self-attribution adds positive short-lag autocorrelations (“momentum”), short-run earnings “drift,” but negative correlation between future returns and long-term past stock market and accounting performance. The theory also offers several untested implications and implications for corporate financial policy. Abstract: This paper documents significant 5-day, 10-day and 20-day cumulative abnormal returns following large one-day advances/declines in some Asian emerging stock markets, such as Hong Kong, Taiwan, Singapore, Thailand, Australia and Philippines. Stock prices tend to rise after large one-day advances and fall after large one-day declines. These findings are inconsistent with DeBondt and Thaler’s (1985 and 1987) overreaction hypothesis. However, they are consistent with Cox and Peterson’s (194) find that prices of longer term (5 to 20 days) tend to decline following large price declines. Abstract: Prior empirical evidence of predictable variations in stock returns following large price changes is found to be, at least in part, driven by the sample selection bias arising from the systematic movement of closing transaction prices within the bid-ask spread. By using the average of the bid-ask prices in the sample selection process, the price reversal on the day following the events (day +1) disappears. For a short-run period after day +1, however, systematic abnormal return patterns are still observed. These short-run price reversals persist even after controlling for the influence of systematic trading patterns around the events. However, investigation of contrarian investment profits from these short-run price reversals shows that the average abnormal returns are not large enough to cover the transaction price movement between the bid and ask prices. Abstract: In this study I examine the effect of organized options trading on stock price behavior immediately following stock price declines of 10 percent or more. A matched-pair sample of National Market System option and nonoption firms are analyzed from June 1985 through December 1992. After controlling for the bid-ask bounce, firm size, share price, return standard deviation, and beta, I find that three-day cumulative abnormal returns for option firms are approximately 1.57 percent less than those for nonoption firms. Thus, options trading enhances stock market efficiency and/or liquidity. However, no profitable trading strategies are indicated. Abstract: We examine stock returns following large one-day price declines and find that the bid-ask bounce and the degree of market liquidity explain short-term price reversals. Further, we do not find evidence consistent with the overreaction hypothesis. We observe that securities with large one-day price declines perform poorly over an extended time horizon. Abstract: This paper examines the daily return variability of the S&P 500 and the Dow Jones indices over the 1928–1989 period. We use the traditional close-to-close standard deviation of returns, two alternative estimators incorporating the daily high and low of the index, and a robust estimator to measure the volatility of stock index returns. The 1980s were the third most volatile decade behind the 1920s and 30s. To a large extent, this was caused by the anomalous behavior of the fourth quarter of 1987. Returns in the 1980s had far more skewness and kurtosis than in any other decade studied; these results were not entirely due to 1987, as returns in 1988 and 1989 had large measures of both skewness and kurtosis. The frequency of extreme-return events increased in the 1980s, but was still dramatically less than the 1920s and 30s. When extreme negative days occurred in the 1980s the losses tended to be more severe than in the previous four decades. Extreme-return days are preceded by significant losses and are intertemporally clustered. There is no evidence of short-term market reversals after either positive or negative jumps in stock index returns. Abstract: Extremely large negative 10-day rates of return are followed on average by larger-than-expected positive rates of return over following days. This price adjustment lasts approximately 2 days and is observed in a sample of firms that is largely devoid of methodological problems that might explain the reversal phenomenon. While perhaps not representing abnormal profit opportunities, these reversals present a puzzle as to the length of the price adjustment period. Such a slow recovery is inconsistent with the notion that market prices quickly reflect relevant information. Abstract: We examine the behavior of common stock prices after a large change in price occurs during a single trading day and find evidence that the stock market appears to have overreacted, especially in the case of price declines; however, the magnitude of the overreaction is small compared to the bid-ask spreads observed for the individual stocks in the sample. We interpret this finding as being consistent with a market that is efficient after transactions costs are considered. Abstract: In a previous paper, we found systematic price reversals for stocks that experience extreme long-term gains or losses: Past losers significantly outperform past winners. We interpreted this ﬁnding as consistent with the behavioral hypothesis of investor overreaction. In this follow-up paper, additional evidence is reported that supports the overreaction hypothesis and that is inconsistent with two alternative hypotheses based on firm size and differences in risk, as measured by CAPM-betas. The seasonal pattern of returns is also examined. Excess returns in January are related to both short-term and long-term past performance, as well as to the previous year market return. Abstract: Research in experimental psychology suggests that, in violation of Bayes’ rule, most people tend to “overreact” to unexpected and dramatic news events. This study of market efficiency investigates whether such behavior affects stock prices. The empirical evidence, based on CRSP monthly return data, is consistent with the overreaction hypothesis. Substantial weak form market inefficiencies are discovered. The results also shed new light on the January returns earned by prior “winners” and “losers.” Portfolios of losers experience exceptionally large January returns as late as five years after portfolio formation. This entry was posted in Academic papers, News and tagged 1DAYVOL, overreaction, paper review, reversal, volatility by Almanacist. Bookmark the permalink.